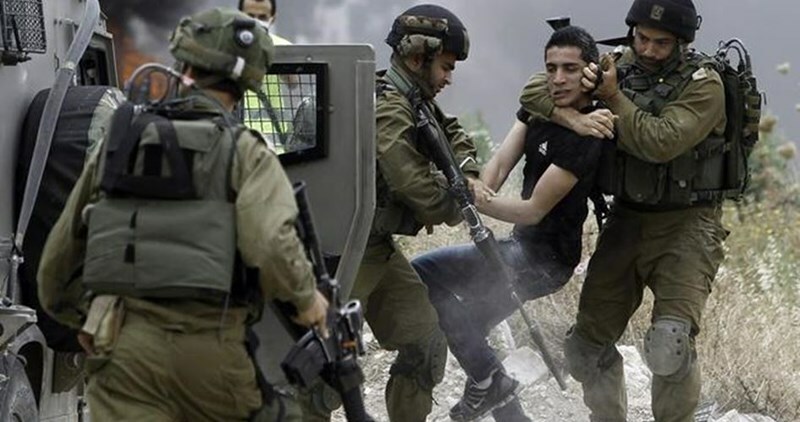 The Israeli occupation forces (IOF) on Tuesday kidnapped three Palestinians from eastern Occupied Jerusalem and two others from the blockaded Gaza Strip. The Mukbir media network said the Israeli occupation police and special army troops rolled into Jerusalem’s al-Ja’abis neighborhood, in Jabal al-Mukbir, and wreaked havoc on civilian homes, before they kidnapped three Palestinian youths. Israeli news outlets also said that the IOF kidnapped two Palestinian youths from the blockaded Gaza Strip. The two youngsters were kidnapped after they crept into the border fence separating Gaza and 1948 Occupied Palestine. Some 155 Palestinians, including 74 minors, nine children below the age of 12, and six ladies, were kidnapped by the Israeli occupation army during the month of January. The occupation police extended the arrest of two minors on suspicion of stabbing a settler in the area of Damascus Gate while a young man was injured after being run-over by an Israeli police vehicle. Lawyer Mufeed Al-Hajj from the Prisoner’s Club explained that the Magistrate judge extended the arrest of 16-year old Munther Talal Khalil until next Thursday, and the police extended the arrest of-year old Mohammad Tayseer Taha until Monday; they are being interrogated regarding the stabbing of a settler in the area of Damascus Gate in Jerusalem on Saturday. Amjad Abu Asab, head of Jerusalemites detainees and prisoners families committee, explained that the occupation police arrested 11-year old Mohammad Hoshyeh and Mohammad Sweiti on Sunday early morning. The forces also arrested an employee of the Islamic Awqaf, Issa Salhab, from Al-Aqsa Mosque and detained him at Al-Qishleh police station. He was then released after seizing his permit to enter the city of Jerusalem. The 16-year old Qasem Natsheh was also arrested on Sunday from the neighborhood of Ein Al-Lozeh in Silwan. Two other young men were also arrested from Sultan Suleiman Street in Jerusalem; they are still unidentified. The 37-year old Bilal Alawi was wounded after being run-over by a police vehicle in the neighborhood of Ras Al-Amoud in Silwan; he was transferred to Hadassah Ein Kerem for treatment. The forces also arrested Daoud Rayyan after pulling him over in the neighborhood of Sheikh Jarrah in Jerusalem. An Israeli court in Jerusalem on Tuesday extended the remand of a Palestinian woman accused of attempting to set off a car bomb near an Israeli military checkpoint in October, relatives told Ma'an. Israa Jaabis was detained on Oct. 10 after Israeli police said she attempted to detonate a car bomb in front of an East Jerusalem checkpoint. Her family says the incident was an accident and the fire in her car was caused by a faulty domestic gas cylinder. The 31-year-old mother and resident of occupied East Jerusalem was reportedly still in critical condition last month due to burns she sustained when flames engulfed her car in front of the al-Zayyim checkpoint. Her sister, Muna, told Ma'an that Israa arrived in court for the first time on Tuesday, where the judge ruled to keep her in custody until Feb.16. Muna said her sister had been unable to attend previous court hearings due to the severe burns she has received treatment for at Hadassah Hospital in Ein Kerem. Israa has recently been moved to HaSharon prison where Muna said she had been "denied" family visits, as the Israeli Prison Service had only scheduled these visits on days Israa was busy undergoing medical treatment. Muna said that on both occasions the family arrived at HaSharon prison without being notified that she was not there. "Israa is still in need of medical treatment and she should stay in a sterilized place, as she has first and third degree burns in the face, hands, back and chest," Muna said, adding that eight of her sister's fingers had been amputated. Muna said that her family rejected Israeli accusations that her sister had attempted to harm anyone. She said the Israeli authorities had first claimed Israa was carrying an explosive device, before they later changed their version of events and accused her of attempting to set fire to a police officer using a domestic gas cylinder. Muna said that on the day of the incident, Israa was in the process of moving to a new home in East Jerusalem -- a decision she made so as to retain her Jerusalem residency. "She was moving furniture in her private vehicle, and on the day the accident happened she had a domestic gas cylinder in the car as well as a television," Muna said, adding that her family believes Israeli police intentionally avoided mentioning that the car was full of personal belongings. "It was proved during court hearings that it was an accident 500 meters away from the checkpoint, which is enough evidence that she wasn't planning an attack against Israeli soldiers," Muna said. The Oct. 10 incident took place amid a series of attacks carried out by Palestinians in the occupied Palestinian territory, although Israeli forces have come under repeated criticism for acting against Palestinian who did not pose any imminent threat. The Palestinian Prisoners Society (PPS) has reported that the Israeli army has kidnapped eleven additional Palestinians, raising the number of kidnapped residents, overnight and at dawn Tuesday, to at least 34 Palestinians, in different parts of the occupied West Bank, including Jerusalem. The PPS said the soldiers kidnapped six Palestinians, identified as Bassam Natsha, 19, Fathi ad-Deek, 19, Nadim Zahra, Anas Abu Assab, Issa Ayyad and Mohammad Shatara. The soldiers also kidnapped Rashad Radayda, from Bethlehem, as he was working in Jerusalem. In Qalqilia, in the northern part of the West Bank, the soldiers invaded and searched homes, and kidnapped Mahmoud Milhem, 21. In the central West Bank district of Ramallah, the soldiers kidnapped Mohammad Ahmad Eshtaya, 20, and Fares Abdul-Jabbar Eshtaya, 22, from Kafr Ni’ma village, and Mohammad Nizar Abu Assab, 29, from the al-Jalazoun refugee camp. 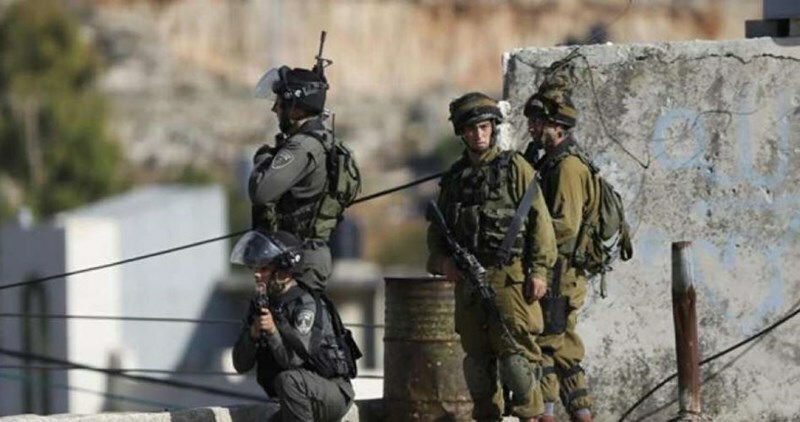 Israeli soldiers kidnapped, on Tuesday at dawn, twenty-three Palestinians in different parts of the occupied West Bank, including one Palestinian, after the army shot and injured him, in Qabalan village, south of Nablus. One Palestinian was injured after Israeli colonists attacked him in Hebron. Ghassan Daghlas, head of the Israeli Settlements File in the Palestinian Authority in the northern part of the West Bank, said at least six undercover Israeli soldiers invaded a Cellphone Shop in Qabalan village, south of Nablus, and kidnapped Samer Al-Aqra’, and his brother Abdul-Latif, shot an injured another Palestinian, identified as Yousef Sharhrouj, and kidnaped him; he was shot in his leg. Daghlas added that the soldiers confiscated a computer and an iPad, from the invaded shop, and took all kidnapped residents to the military base in Ariel colony. The army also invaded the students’ dorms in the Najah University, west of Nablus, and searched them. In addition, the soldiers kidnapped Saher Nasasra from Beit Forik village, near Nablus, and Soheib al-Ashqar from Saida village, in the northern West Bank district of Tulkarem. In the Jenin district, also in the northern part of the West Bank, the soldiers installed a military roadblock at the main entrance of Ta’nak village, and kidnapped a Palestinian, identified as Abdullah Abu Qatheela. In occupied Jerusalem, the soldiers invaded the towns of al-‘Ezariyya and Abu Dis, searched and ransacked many homes, and kidnapped Mohammad al-Mekhel, Mohammad Yazan Hamdan, Ali Far’un, Abdullah Shatara, Amir Shatara, Mustafa al-Yassini, Marwan Bassa, Nayef al-Khatib, and Ashraf al-Yassini, while Ali Ayyad, 20, was kidnapped in Abu Dis. 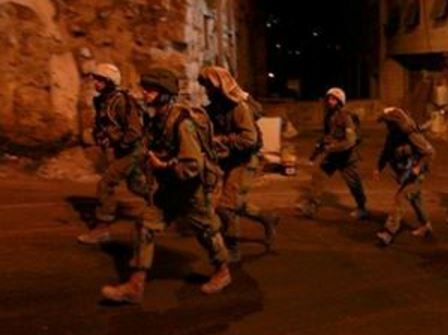 In Bethlehem, the soldiers searched many homes in the al-Khader town, south of the city, and kidnapped Mansour Nasri Salah, 18, Bilal Mohammad Salah, 15, Khalil Khaled Salah, 17, and Mansour Ateyya. In Hebron, in the southern part of the West Bank, the soldiers kidnapped Karam Fakhri Miswada, 34, his brother Shawqi, 30, and Ibrahim Abdul-Wahab al-Atrash. The soldiers also installed several roadblocks, especially near Halhoul and ath-Thaheriyya towns, and Hebron’s northern entrance, stopped and searched dozens of cars, and investigate the ID cards of the passengers. In related news, a Palestinian was injured, after a number of extremist Israeli colonizers assaulted him, close to the Keryat Arba’ colony, in the eastern part of Hebron city. Medical sources in the Hebron governmental hospital said Mohammad Rasmi al-Haddad, 21, suffered a moderate injury after the Israeli assailants beat him on various parts of his body. 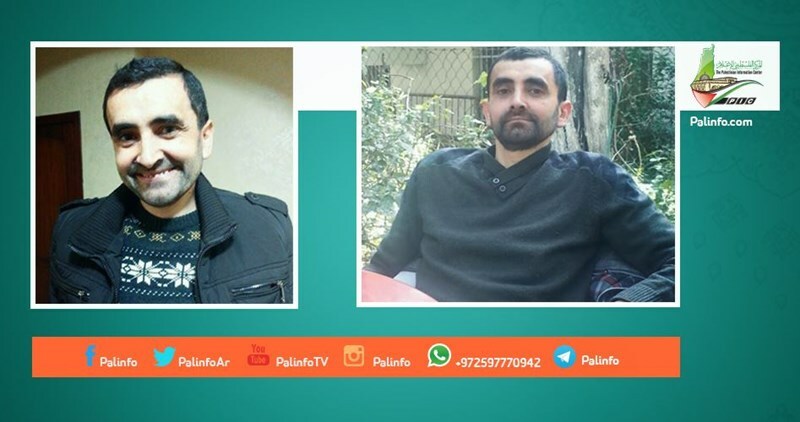 The health status of the Palestinian detainee Bassem al-Sayeh has sharply exacerbated after he had been subjected to exhausting inter-prison transfers and harsh torture, the Palestine Prisoner Society (PPS) reported on Tuesday. According to the PPS, cancer-stricken Bassam was transferred from the Ramla to the Meggido jail by the Israeli prison authorities. Bassam’s family has voiced deep concern over the health status of their son Bassam, held in Israeli jails for the third month. 43-year-old Bassam, a native of Nablus province, was arrested by the Israeli occupation soldiers on October 8, 2015. Diagnosed with bone and blood cancers, along with cardiovascular disorders, Bassam has, nevertheless, been subjected to harsh torture in Israeli jails. Some few days earlier, activist Issa Qaraqe raised alarm bells over the critical health status of the detainee, calling for an urgent intervention to save his life before it is too late. The health status of Palestinian prisoner Muhammad al-Qeiq has sharply deteriorated, after his hunger strike has entered its 70th day. According to a statement by the Palestinian Prisoner Society (PPS), al-Qeiq has lost his ability to speak and 60% of his hearing ability. He has also been diagnosed with excruciating pains all over his body. Al-Qeiq was fed by force on the 47th day of his hunger strike. He has been firmly rejecting to take vitamins or to undergo medical checks. According to the PPS, the Israeli supreme court set up a date for a hearing on February 4 at 3.30 p.m. to finalize its decision on al-Qeiq’ case. Prisoner al-Qeiq initiated his hunger strike under the slogan “Free or Dead” in protest at being held administratively in Israeli occupation jails, with neither charge nor trial. The Shin Bet, Israel's internal intelligence, on Monday banned Jamal Amro, a specialist in Jerusalem affairs, from entering the Aqsa Mosque and its vicinity for six months. On his facebook page, Amro condemned the Israeli decision against him as "unjust and arbitrary." In response to a summons issued against him, Amro had headed on Monday morning for the police station in Qishleh area of Jerusalem, where he was interrogated and handed a written order banning his entry to the Aqsa Mosque. The Shin Bet had already issued about one and a half months ago an order banning Amro from traveling for seven months. In another incident, the Israeli interior ministry issued on the same day a renewed ban on the travel of a Jerusalemite citizen called Akram Saleh for six months. Several months ago, Saleh was also banned from traveling for eight months. Saleh slammed the Israeli measures against him and other citizens as a systematic policy aimed at banishing the indigenous people of Jerusalem from their holy city and the Aqsa Mosque. Almost 150 Palestinians were arrested in occupied Jerusalem over last month including 74 children, a Palestinian rights group revealed. The Jerusalem Prisoners' Families Committee affirmed that Israeli police arrested during Junuary 159 Jerusalemites including 74 minors. Nine children of the reported detained minors are under the age of 12, the committee pointed out. 52 detainees were arrested from their homes, while the other arrests were carried out during clashes with Israeli forces. Over the past month, Israeli forces also arrested the Jerusalemite member of Palestinian Legislative Council Sheikh Mohamed Abu Tir, 65. Head of the committee Amjed Abu Assab told Anatolia News Agency that Jerusalemite children are subjected to all kinds of violence at the hands of Israeli police forces. There are currently around 7000 Palestinian prisoners in 22 Israeli jails and detention centers, including 39 women and 430 children. 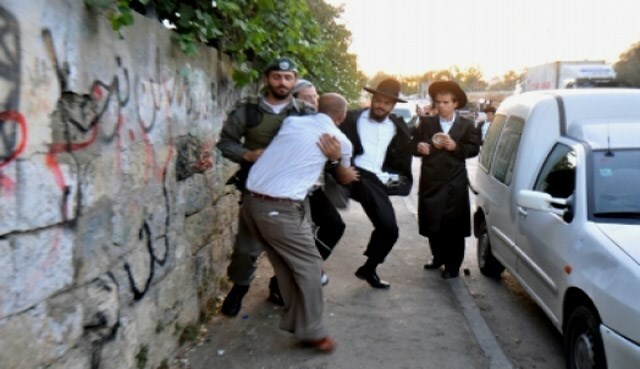 A group of Israeli extremist settlers brutally attacked Tuesday morning a Palestinian young man while passing near Kiryat Arba settlement, illegally built east of al-Khalil. 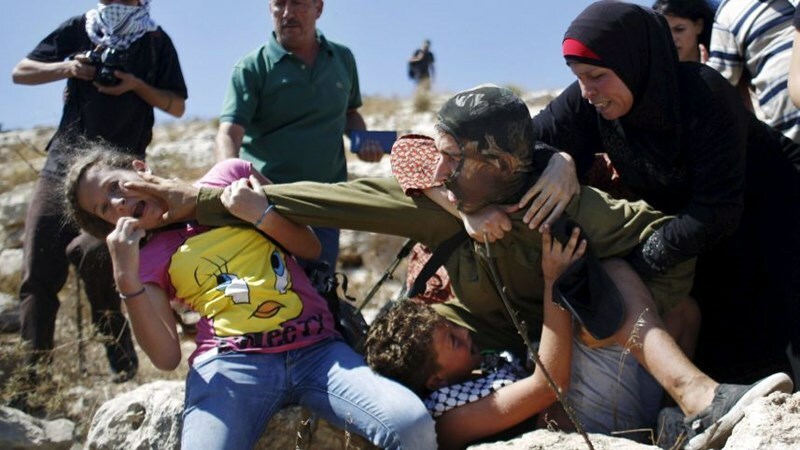 The 21-year-old Mohamed Hadad was severely beaten and brutally attacked by a number of settlers for unknown reasons. Also in al-Khalil, Israeli forces arrested two brothers while passing near the Ibrahimi Mosque. A third young man was later arrested in the city, while a number of make-shift checkpoints were erected at the entrances to the neighboring towns and villages. Several Palestinian vehicles were stopped and searched at the checkpoints. While relations between Palestinian residents and Israeli settlers in the occupied West Bank are normally tense, the situation has been significantly deteriorating since settlers set fire to a home belonging to the Dawabsheh family in Nablus on July 31, 2015. An 18-month-old toddler was burned alive during the attack, while his mother and father succumbed to their burn wounds later on while being treated at separate hospitals. The family's four-year-old son is the only remaining survivor of the attack. The Israeli occupation forces (IOF) last night and at dawn Tuesday carried out arrests and raids on homes in different West Bank areas. 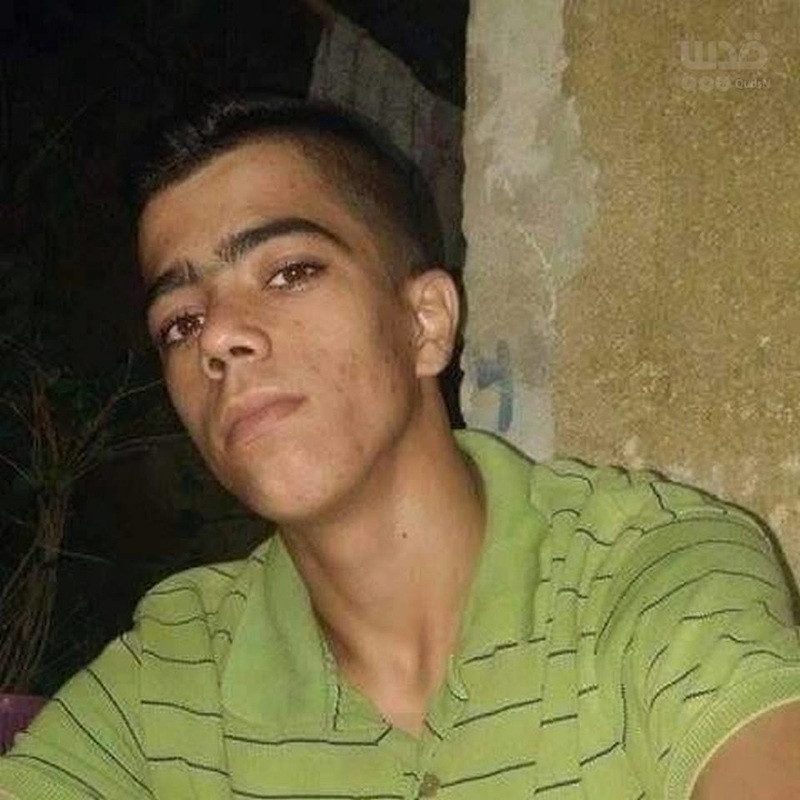 In Tulkarem, the IOF kidnapped at dawn 19-year-old Suhaib al-Ashqar from his home in Saida town. He is the brother of Zaid al-Ashqar, who carried out a stabbing attack about a month ago near Tulkarem. Local sources told the Palestinian Information Center (PIC) that the IOF invaded and patrolled the neighborhoods of Shuaika and Danaba in Tulkarem city, with no reported arrests. The IOF also established roadblocks in the vicinity of Tulkarem and intercepted passing vehicles and citizens. In Nablus, special Israeli troops last night kidnapped three young men from Qabalan town and caused bullet injuries to two of them. The PIC was told that soldiers kidnapped Samer Aqra and his brother Abdul-Latif as well as other two young men, one of them was released later. The IOF also stormed Beit Furik town, east of Nablus, and ransacked a number of homes before kidnapping 21-year-old Saher Nasasreh. In addition, the IOF raided the house of martyr Amjad al-Sukari in Ma'ein town, south of Nablus, took its measurements and interrogated members of his family. The IOF also raided the apartments of university students in al-Juneid area and interrogated them. Lawyers of the Palestinian Prisoner Society (PPS), the Ministry of Prisoners’ Affairs, and prisoners’ attorneys in Israeli jails announced on Monday their decision to boycott the Israeli occupation courts for one week. A PIC news reporter quoted lawyer Ahlam Hadad as stating that prisoners’ attorneys announced their decision to boycott the occupation courts for one week starting Tuesday. The move has been initiated in protest at the reluctance maintained by the Israeli prosecution and its mistreatment of lawyers and prisoners, mainly minors. 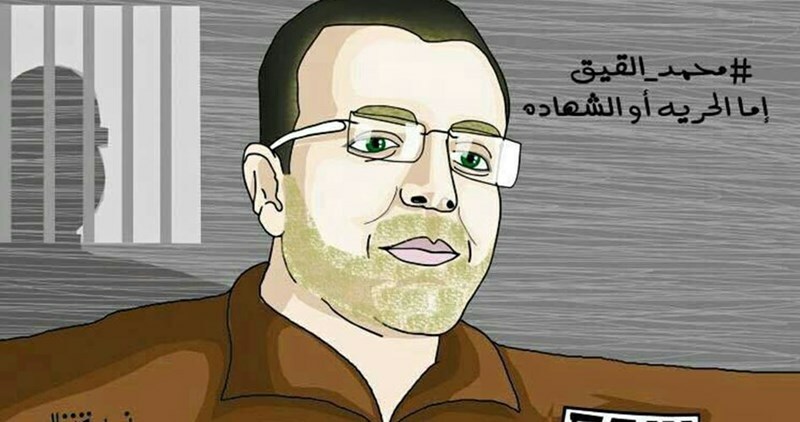 Israeli prosecution submitted its decision to the Israeli Supreme Court Secretary on the issue of captive Mohammad al-Qeiq which stipulates for keeping him arrested under administrative detention. Head of the legal unit of Palestinian Prisoners Society Jawad Boulus said on Monday that the Israeli Supreme court asked the prosecution on Sunday to declare its stance in this regard. The decision was made based on the medical reports issued by Afula hospital which confirmed the seriousness of Qeiq’s health condition, Boulus added. Boulus pointed out that the prosecution claims that captive Qeiq is still conscious and therefore he should be detained under administrative detention in the meantime. Israeli Occupation Forces (IOF) arrested on Monday a Palestinian young man at Beit Einoun junction near Saeer town in al-Khalil over an alleged stabbing attack. The website of Maariv Israeli newspaper reported that Israeli troops arrested the Palestinian young man and transferred him to be questioned for suspicion of planning to carry out a stabbing attack using a knife. The IOF soldiers rounded up and murdered many Palestinian male and female youths after alleged stabbing attacks, while many of the cases were based on false suspicion. The Palestine Center for Prisoners Studies (PCPS) said that the Israeli occupation authority (IOA) had escalated its arrest campaigns against the Palestinian people over the past month in order to quell the popular intifada (uprising) that erupted four months ago. 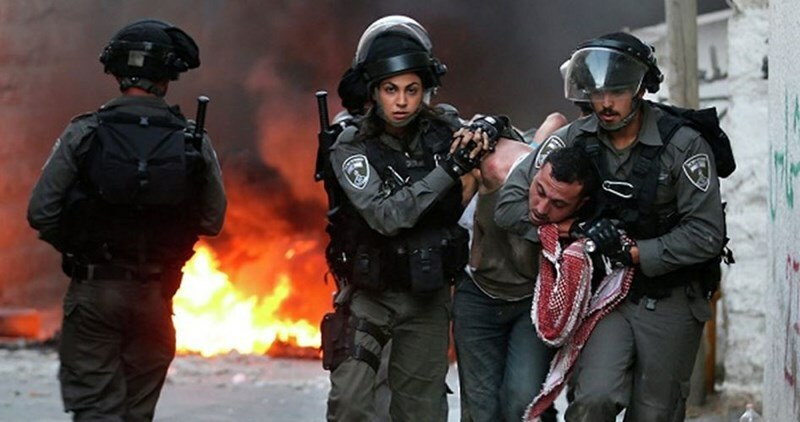 The PCPS recorded in its monthly report that 490 Palestinians were arrested in January in various Palestinian territories. The PCPS indicated in a report that among those arrested during the first month of this year, are 140 minors, some were arrested although they were injured, and 13 women and young girls, including the wives and mothers of prisoners, in addition to two MPs of the Legislative Council and a former minister. The IOA also detained 10 citizens from the Gaza Strip, including six fishermen, while they were fishing, and a 53-year-old citizen while accompanying his sick wife on their way to a Al-Maqased hospital in occupied Jerusalem. Also in January the captive journalist, Mohamed Al-Qeiq of Hebron, continued his open hunger strike which started on 24-11-2015 against being arrested administratively. His health has reached a life-threatening stage. The Israeli supreme court hinged the consideration of his case on the developments in his health status, which might pose a real danger to his life. Arrest of MPs Riad Al-Ashqar, media spokesman for the PCPS, explained that the number of kidnapped MPs in Israeli jails has risen to seven MPs in January, after the kidnapping of the MP Mohammed Mahmoud Abu Tir, 65, after breaking into his home in Kafr Aqab, searching it and sabotaging its contents before arresting him and taking him to an unknown destination. Abu Tir was a deportee from Jerusalem to Ramallah and had spent a total of more than 30 years in Israeli jails at several periods of detention. His last release from prison was in July last year after spending 25 months in detention. Furthermore, the MP Hatem Rabah Kufaisheh, 55, was arrested after raiding his house in Hebron, only one hour after his car was burnt by unknown assailants. His car was parked in front of his house. The MP was then held in administrative detention for six months. Kufaisheh was a former prisoner who was held in Israeli jails for more than 12 years. He was released from his last arrest on 31.3.2015. He suffers from blood pressure and diabetes. The former Minister of Local Government, Issa Khairi Jabari, also from Hebron, was arrested and held under administrative detention for 4 months. He was a former prisoner and had spent several years in Israeli jails. Al-Ashqar pointed out that during the last month 140 minors under the age of eighteen were arrested as well as 13 women and young girls, including a 64 years old woman from the Gaza Strip. She was detained for hours on Beit Hanoun crossing, while she was returning to Gaza from occupied Jerusalem, then she was later released. 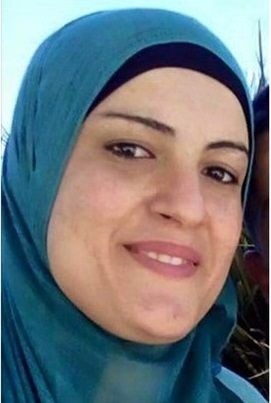 The wife of prisoner Ahmed Mughrabi, who is sentenced to life imprisonment, Hanadi Musa Mughrabi, 37, was also arrested, in addition to the arrest of the mother of the Jerusalemite prisoner, Ameer Salloum, while she was waiting in the prison halls to visit her son. Among the women arrested also were Rabia Ourouj, 27, the wife of the prisoner Ismail Ourouj and his mother Feddah, 52. Administrative decisions Al-Ashqar pointed out that the IOA issued during the month of January 117 administrative detention orders in a continuation of this arbitrary policy. 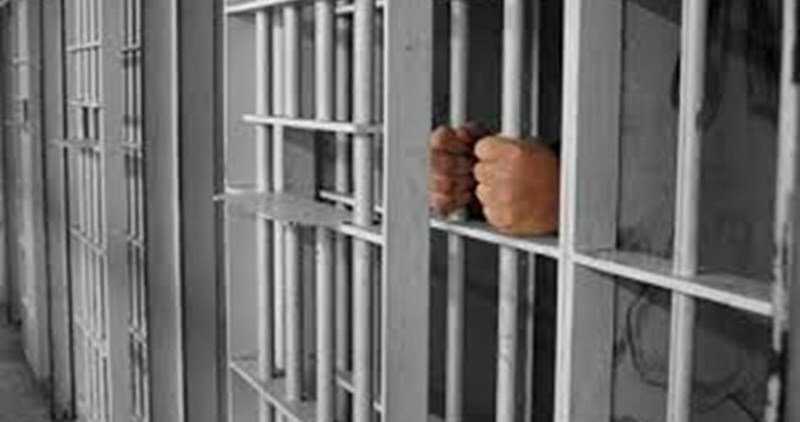 Among these administrative detention orders, 54 were passed against new prisoners, while 63 were renewals for prisoners held already under administrative detention, ranging from three to six months, he added. Hebron occupied the highest percentage in administrative detention orders, which reached 42, the majority of which were renewal decisions, including the decision orders issued for the MP Hatem Kufaisheh and the former minister Issa Jabari. 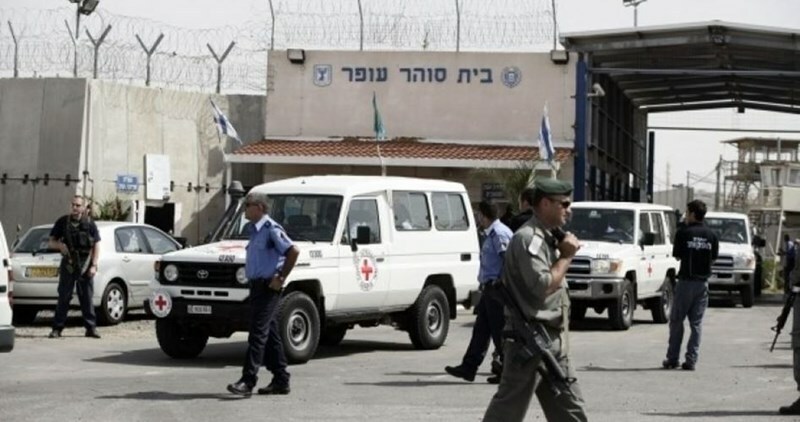 Al-Ashqar went further to point out that the Israeli Prison Service (IPS) increased in the last month the use of its repressive policy against the prisoners, as well as unexplained transfers, and assaults against the prisoners. He said that the PCPS monitored 16 raids in prisons by special forces, mostly in the Nafha prison and the Negev prison. The Negev prison sections were stormed several times, and the IPS cut down the entry of clothes to the prisoners to once every 3 months, while in Nafha prison the IPS management isolated three brothers of Abu Ayash family. It also transferred 13 prisoners from the Eshel prison to other prisons because of their protest at the offensive inspection policy agaisnt their families during visits, and it limited, at the same prison, the number of family members allowed to visit to 10 people per group of visitors instead of 30. The PCPS renewed its calls on the UN agencies to urgently intervene to stop the non-ending arbitrary arrests campaigns carried out by the IOA. 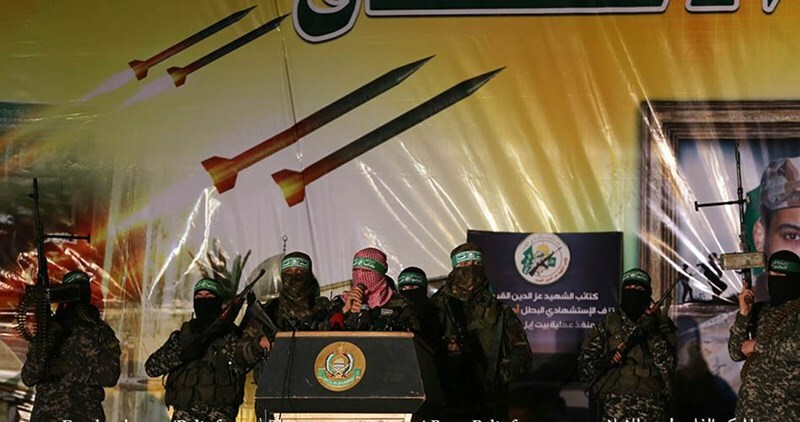 Al-Qassam Brigades, the armed wing of Hamas, has said that it has surprises for the Israeli occupation army in any coming battle, and trump cards that will force the Israelis to release Palestinian prisoners. This came in a speech delivered by spokesman for al-Qassam Brigades Abu Obeida during a memorial ceremony held for the seven martyrs, who died a few days ago in a tunnel collapse in Gaza. "The resistance has become able to build up its strength after every battle, and it has the full right to do this, not because it seeks to fight a war but to get prepared for it," Abu Obeida stated. "If the Zionist enemy dared to commit any folly against our people and land, the resistance would shake the ground under its feet and take it by surprise," he added. The spokesman also promised the Palestinian prisoners in Israeli jails that al-Qassam Brigades would force the Israelis to release them soon. "Our people will celebrate your release soon, God willing, at the wedding of freedom and the great victory," he said. 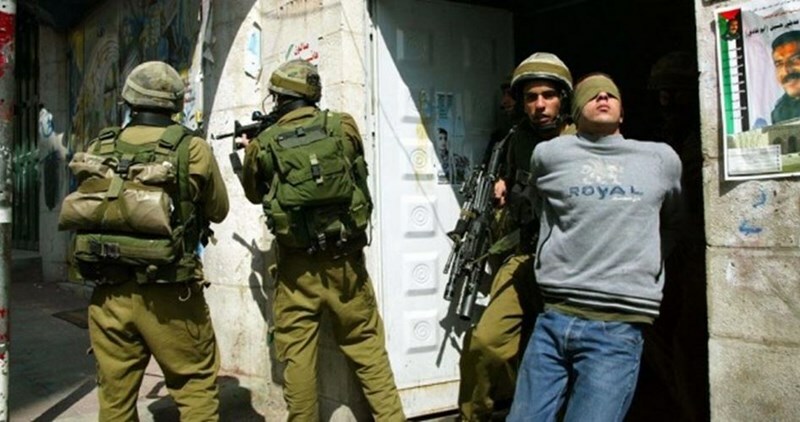 The Israeli Occupation Forces (IOF) arrested at dawn Monday 16 Palestinians during a large-scale raid campaign across the West Bank and occupied Jerusalem. The Israeli TV Channel 7 quoted an IOF report as saying that 16 “wanted” Palestinians were arrested at dawn today for allegedly carrying out anti-occupation attacks. In Nablus, three youths were arrested after Israeli forces stormed a number of towns and villages. Two ex-prisoners were among the reported detainees, the PIC reporter pointed out. A number of local homes including ex-prisoners’ homes were violently stormed and searched during the raid. Three other arrests were carried out in Tulkarem, while at least one young man was detained in Jenin. 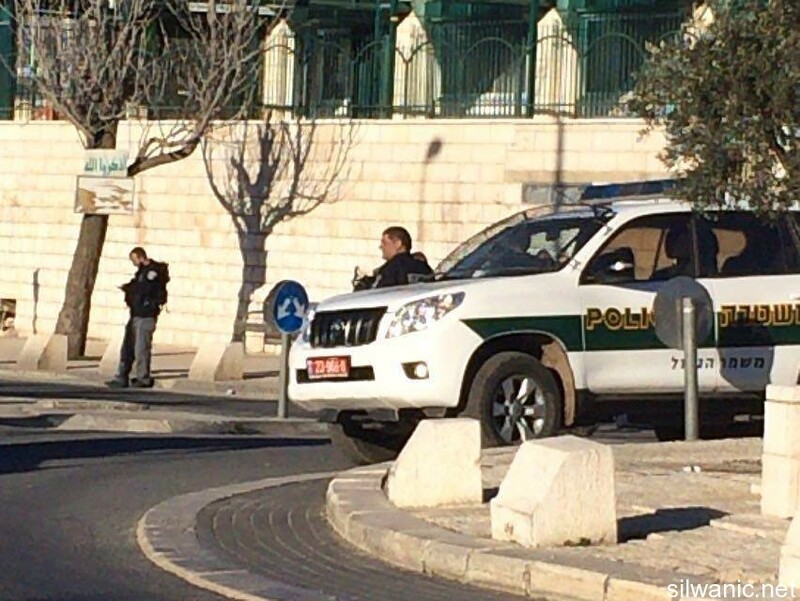 Three more arrests were reported in al-Khalil while another young man was detained in Beit Fujar town near Bethlehem. Meanwhile, a group of settlers brutally attacked Palestinian-owned homes in the Old City in al-Khalil under the protection of Israeli forces, which led to the outbreak of violent clashes with locals. Israeli forces also stopped the construction of a Palestinian house in Beit Ummar north of the city and confiscated the building materials. 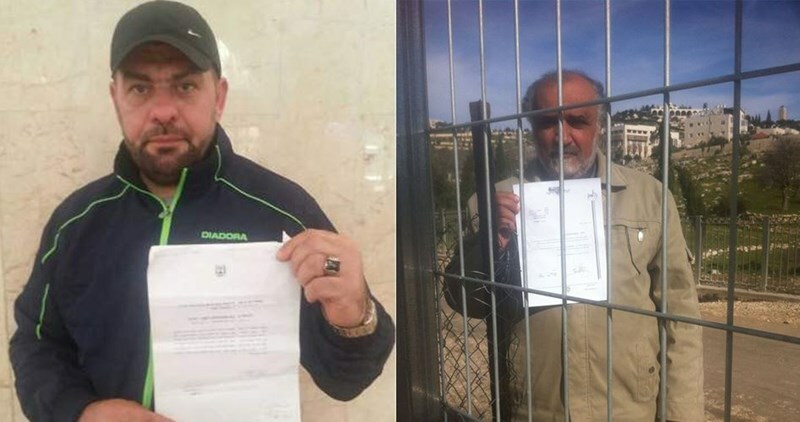 On the other hand, PA Preventive Security Service summoned the ex-detainee Suleiman Qawasmi, who spent more than ten years in Israeli jails, and the ex-detainee and political analyst Hisham Sharabati, who spent around twenty years behind Israeli bars, for investigation. 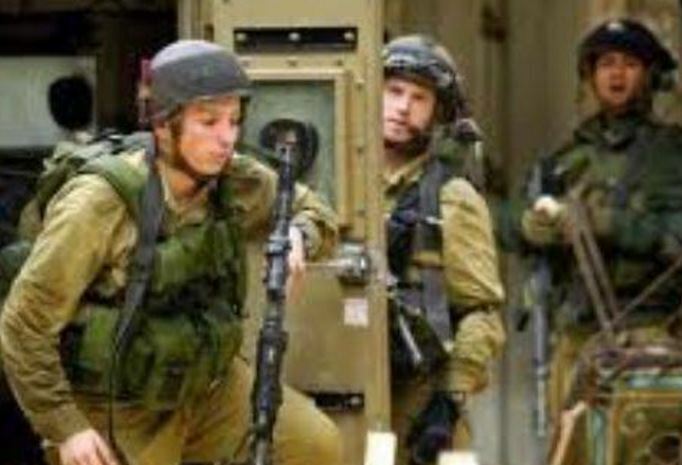 Israeli soldiers kidnapped, on Monday at dawn, at least ten Palestinians, in numerous invasions and searches of homes, in different parts of the occupied West Bank. One Palestinian was kidnapped on Sunday evening. Several army vehicles invaded the northern West Bank city of Nablus, searched homes, and kidnapped two Palestinians, identified as Rawhi Rashid Marmar and Azmi al-‘Aqqad. 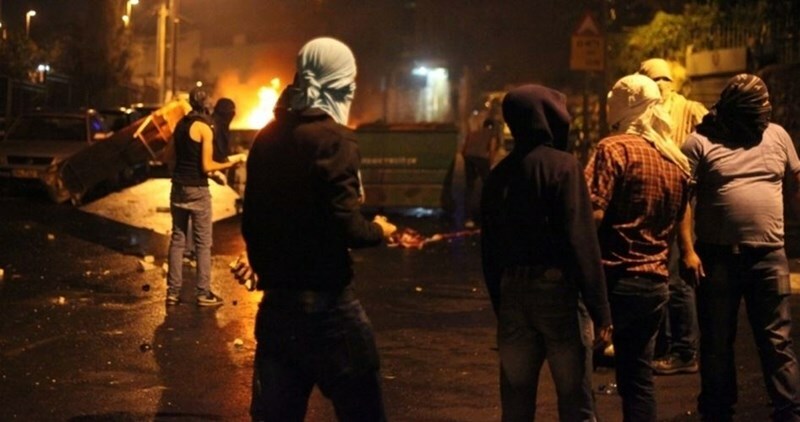 In addition, dozens of soldiers invaded the northern West Bank city of Tulkarem, broke into and ransacked many homes, and kidnapped four Palestinians, from various neighborhoods. Ibrahim Nimir, the head of the Tulkarem office of the Palestinian Prisoners Society (PPS), said the soldiers have kidnapped Bassam Jamil Lifdawi, 23, Mohammad Ibrahim Badawi, 27, Saleh Mitleq Balawna, 25, and his brother Ahmad, 29. The soldiers also stormed and searched homes in the southern West Bank city of Hebron, and kidnapped Ali Abdul-Ghaffar Dofash and Saddam al-Ja’bari, after searching their homes. Two more Palestinians, identified as Mohammad Qassem Masalma, 17, Jibreel Hasan Masalma, 16, have been kidnapped from their families’ homes, in Beit ‘Awwa town, southwest of Hebron, while Odai Samir Masalma, 18, was summoned for interrogation in the Etzion military base. The army invaded several neighborhoods in Hebron city, installed roadblocks on the main roads leading to Beit ‘Awwa, Sa’ir and Halhoul towns, Hebron’s northern and southern entrances, before stopping and searching dozens of cars, and interrogated many Palestinians while inspecting their ID cards. |On Sunday evening, the soldiers kidnapped a young Palestinian man in Sanour village, south of the northern West Bank city of Jenin, after stopping him on a sudden roadblock. It is worth mentioning that the soldiers have kidnapped, overnight, sixteen Palestinians in various parts of the occupied West Bank, including Nablus, Ramallah, Hebron and Bethlehem. Also, the army released Fathiyya Khanfar, 60, from al-Atatra village, south of Jenin. The Palestinian woman was kidnapped eleven months ago while visiting her imprisoned son. Senior Hamas official Khaled al-Haj has said that the Palestinian prisoners suffer greatly from harsh incarceration conditions as a result of overcrowding, especially in the current winter. Haj, who was released from the Negev jail on Sunday, explained to Quds Press that the prison cells became unbearably overcrowded and led to shortages of essential needs and winter materials, such as blankets and clothes. According to him, the Israeli administration of the Negev jail does not allow the prisoners to get more winter clothing and adequate blankets to cover their needs and thus overcome the problem of their increasing numbers. The Israeli occupation authorities released Khaled al-Haj, from Jenin city, on Sunday evening after two years in jail. The Israeli Supreme Court on Sunday evening called on the Israeli military prosecution to decide on the case of the Palestinian hunger-striker Muhammad al-Qeiq. 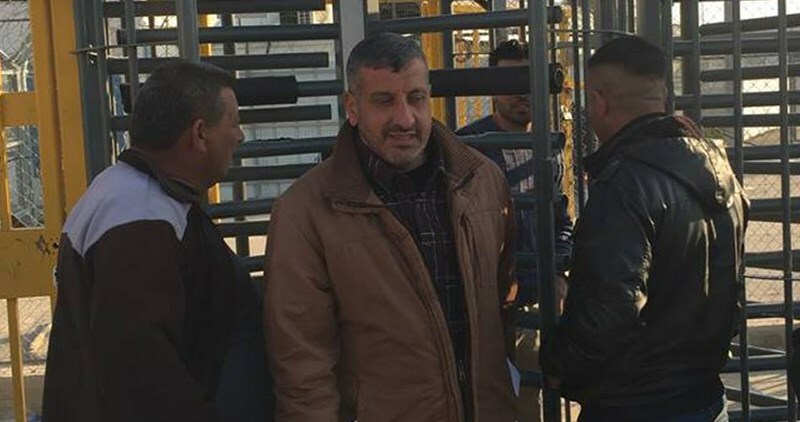 Lawyer Jawad Boulos, from the Palestinian Prisoner Society (PPS), said the Israeli court urged the military prosecution to issue a final decision on al-Qeiq’s case after medics at the Afula hospital sounded the alarm over the sharp decline in his health status. For his part, head of the PPS, Fares Qaddura, said the Israeli court is very likely to rule for suspending al-Qeiq’s administrative detention as he does not pose any threat due to his critical health status. “Such a projected decision does not meet our expectations for it implies keeping al-Qeiq in prison clinics until he recovers,” Qaddura added. Al-Qeiq’s lawyer Ashraf Abu Esneineh also said that al-Qeiq has lost his ability to speak and hear and can no longer stand on his feet. Prisoner Muhammad al-Qeiq has been on an open-ended hunger strike for 68 days running in protest at being held administratively, with neither charge nor trial, in Israeli occupation jails. The wife of journalist Mohamed al-Qeiq has appealed to the world's free people to intervene to save the life of her husband, who has been on hunger strike since November 24. Fayha Shalash told the Palestinian Information Center (PIC) that "her husband is swinging between life and death in al-Afula hospital." Shalash stressed that the coming hours could be crucial in saving the life of her husband. Mohamed al-Qeiq, 33, works as a reporter for al-Majd satellite channel and has been in administrative detention without any indictment since last November. 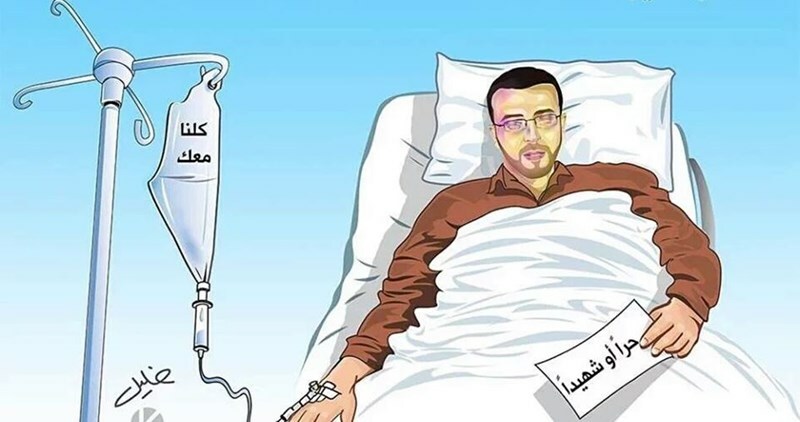 The Assembly of Palestinian doctors in Europe has sent letters to a number of European MPs and international human rights institutions raising alarm bells over the Palestinian journalist Mohamed al-Qeiq’s health condition as he enters his 69th day of hunger strike. The letters were sent to MEP Martina Anderson, Chair of the European Parliament's Delegation for Relations with Palestine, and Gilbert Roger, Senator of the Socialist Party of France and President of the France-Palestine Friendship Group. In its letters, the Assembly called on human rights institutions and the free world to urgently intervene to save al-Qeiq’s life before it is too late. The Assembly declared its full readiness to send a medical delegation to check on al-Qeiq’s health situation and provide him with the appropriate treatment. “Al-Qeiq has been detained over the past three months without charge or trial in total provocation to the basic human rights. This pushed him to declare an open hunger strike.” The Assembly pointed to the Red Cross reports which raise alarm bells over al-Qeiq’s serious health deterioration. 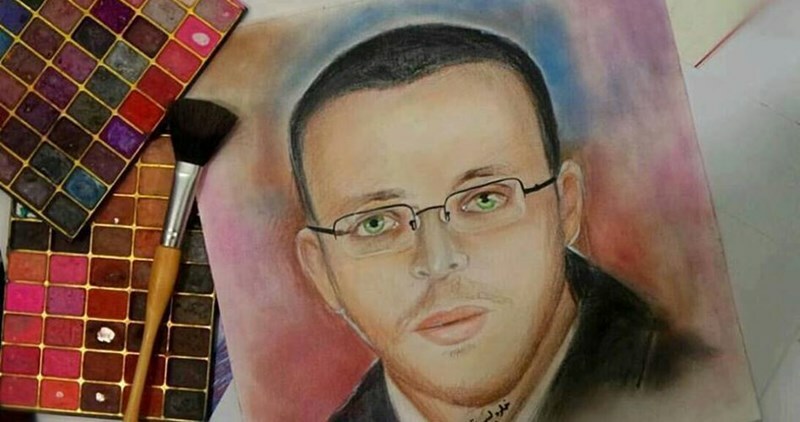 Al-Qeiq's life is threatened, the Assembly warned, attributing his condition to the Israeli violations against Palestinian prisoners and detainees. 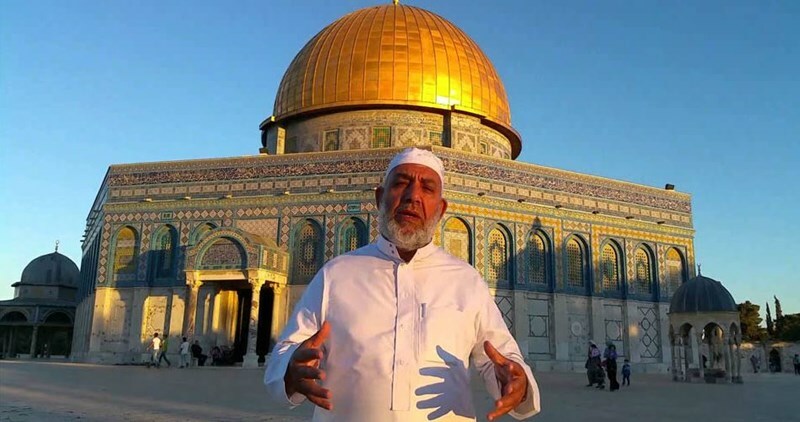 The Israeli occupation police on Sunday banned Sheikh Najeh Bakirat, director of the Islamic Waqf property in the Occupied City of Jerusalem, from staying in the holy city for six months, without stating the reason for their verdict. Sheikh Bakirat condemned the order as "arbitrary and unjust" and said it was not the first time the police exiled him from the holy city. "This decision is aimed at me personally and deprives me of doing my job; it also affects the lives of Jerusalemites, their interests and holy sites," Sheikh Bakirat stated. "This measure was not the first against me. The occupation forces had already banished me more than 13 times from Jerusalem and the Aqsa Mosque, especially when I was appointed as the director of the Mosque," he added. He explained that the police ordered him on Sunday to come to its interrogation center in al-Qishleh area in Bab al-Khalil and then handed him a notice banning his stay in the holy city for six months and warning him against not complying with the order. Sheikh Bakirat appealed to all human rights groups to intervene to stop Israel's exile policy and arbitrary measures against the employees who are in charge of the Islamic holy sites in Jerusalem. Violent clashes broke out Sunday night between local young men and Israeli soldiers in Jaba town, south of Jenin, after the latter closed the main entrance to the town. Local sources told the Palestinian Information Center (PIC) that the violent events started after a number of Israeli troops aboard patrol vehicles blocked the main entrance of the town and intercepted Palestinian cars. The sources added that many young men as well as families inside their homes suffered from inhaling tear gas during the events. In a separate incident, the Shin Bet in Salem military camp, west of Jenin, arrested a Palestinian young man after he responded to a summons issued against him. Local sources explained that Israeli soldiers had stormed and searched last Friday the home of 19-year-old Farid al-Jammal in Jenin and handed him a summons for interrogation from the Shin Bet in Salem camp. The Israeli occupation army also kidnapped another young man identified as 21-year-old Fadi Abu Ali, from Sanur town, south of Jenin. Eyewitnesses said soldiers at a makeshift checkpoint near Sanur town stopped the passenger car he was aboard, interrogated him and then took him to an undeclared place. Lawyer Asharf Abu Sneineh affirmed that the hunger striking Palestinian captive Mohammad al-Qeiq lost 35 kilograms of his weight and suffers serious health problems. The lawyer said, in a statement on his Facebook page on Saturday, that the coming hours are too critical. He added that a medical intervention is a possibility which is refused by detainee Qeiq. Abu Sneineh expected that the Israeli Supreme Court may intervene against the administrative order, either by suspension or cancellation. He pointed out that the Israeli hospital has finally admitted the health deterioration of prisoner Qeiq for the first time. The latest medical report showed that Qeiq has become incapable of speech and movement. He is sleepy most of the time as well, but still if conscious refuses treatment, liquids and supplements. For their parts, prisoners of Hamas Movement declared their decision to fast on Monday in solidarity with captive Qeiq who has been on hunger strike for 68 days. The captives in Israeli jails called on the Palestinian people and institutions to support detainee Qeiq by participating in Monday fasting. Two Palestinian prisoners went on hunger strike on Sunday in protest against Israeli policies of illegal administrative detention. The Palestinian Prisoners Society’s lawyer, who visited them both on Sunday, said that the Jordanian captive Akram Zahra started his hunger strike on January 23 and that he is refraining from taking water starting from Sunday. Detainee Zahra is striking in protest against the continuation of his arrest despite the fact that he finished his sentence on January 15. He is also held in solitary confinement, the lawyer pointed out. She added that the other captive, Kayid Abu al-Rish, from Nablus, has been on hunger strike for nine days against administrative detention. Israeli authorities issued three consecutive administrative detention orders against prisoner Abu al-Rish since he was arrested in January, 2015. He is striking in demand for his release. A Palestinian youth was shot dead by Israeli forces on Monday south of Tulkarem. Palestinian medical sources identified the teenager as Ahmad Hassan Tuba,19, from the village of Kafr Jammal near Tulkarem.